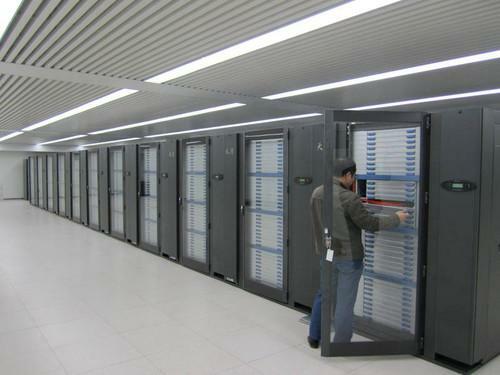 The Tianhe-1A at the National Supercomputer Center, Tianjin, China. The supercomputer, the Tianhe-1A, was housed in a facility just a kilometer away from Wednesday's explosion. The warehouse blast was so massive it killed 50 people and sent 701 people to the hospital, according to China's state-run Xinhua News Agency. The Tianhe-1A, however, managed to continue running smoothly, following the blast, Xinhua said on Thursday. The machine is housed in a protected room, and its database also remains unharmed. As a security precaution, staff at the facility decided to manually shut down Tianhe-1A thirty minutes after the blast had occurred, according to Xinhua. The Tianhe-1A was ranked as the world's fastest supercomputer back in 2010, but it has since been eclipsed by other machines, including one built in China. It is currently the 24th fastest, according to the top 500 supercomputing list. Wednesday's night blast still inflicted damage to facilities where Tianhe-1A is housed, the National Supercomputing Center in Tianjin. The building's windows were shattered, and some of the ceilings collapsed, according to Xinhua. On Friday, calls to the supercomputing center were not answered, and the facility's website appears to be down. The city of Tianjin is located 130 kilometers away from Beijing, and resides on the coast. Wednesday's explosion occurred in the Binhai new district, an economic hub that's also home to electronics manufacturing. Companies with facilities there include Samsung, Foxconn Technology Group and Lenovo. On Friday, all three companies said the blast had no affect on their operations in the area.